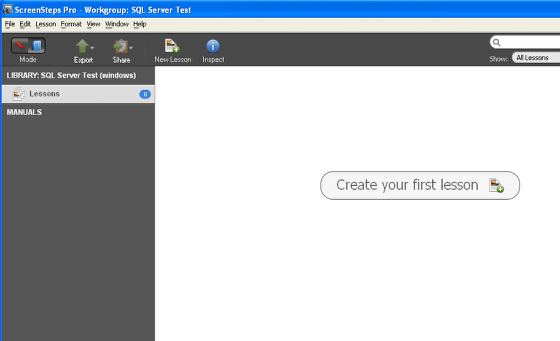 A dialog will appear that looks like this. In order to connect you must select a connection file. 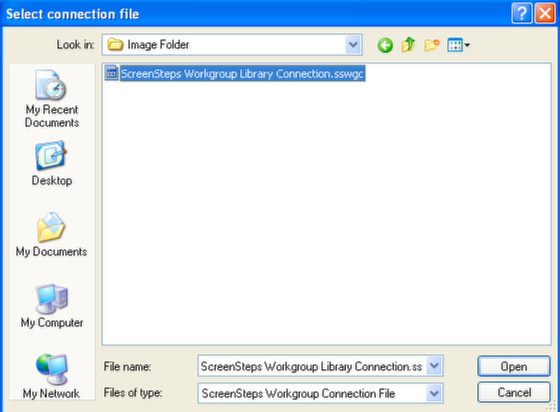 The connection file contains the information necessary to connect to the database. Click on the Select File button. 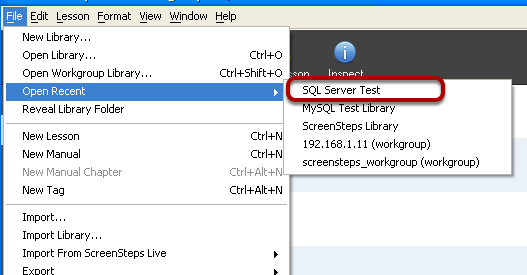 If the connection file was exported with the author's credentials then the Login and Password fields will be filled in automatically. If not, then fill the fields in and click Connect. You will now be connected to the workgroup library. 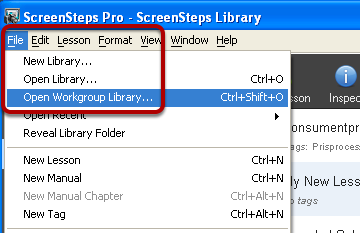 Note: If you have permission to access more than one Workgroup Library then you will be given the option of choosing which Library you would like to open. If you need to open the library again later you can do so from the File > Open Recent menu. The name of the library appears in the menu. Just select it to reopen the library.